You Think You Know Better Than Uganda? In Squaring Off, Zócalo invites authors into the public square to answer five questions about the essence of their books. For this round, we talk to University of North Carolina epidemiologist and medical anthropologist Daniel Halperin, co-author of Tinderbox: How the West Sparked the AIDS Epidemic and How the World Can Finally Overcome It (Penguin Press). Halperin and co-author Craig Timberg present a startling history of the spread of AIDS, arguing that much of what we thought we knew about HIV is wrong. They also show how, in AIDS prevention, more can be done with less. 1) You argue that promoting male circumcision and fewer sexual partners would prevent the spread of AIDS in Africa more effectively than many Western efforts have. But aren’t poverty and lack of education the first primary hurdles? First, our main argument is not really about promoting certain behaviors per se. We don’t argue for promoting circumcision, for instance, but rather for making the services more widely available-and safe-for those men who want it (whether the main reason is for HIV prevention or not). With sexual behavior change, again, the issue is about getting the scientific information more dispersed and sparking a society-wide discussion about this rather than telling people what they should do. Conversely, addressing poverty and lack of education is extremely important in its own right, but it’s not the linchpin of effective HIV prevention. Within Africa, HIV in fact tends to be highest in those countries that have the highest income and educational levels, and historically the richest and most educated people also had higher infection rates. By contrast, some of the most dramatic successes occurred in what were poor and struggling places, like Uganda, because there was a clear and forceful society-wide focus on behavior change. 2) If more attention is given to behavior-change campaigns, won’t that take resources away from medical research to find a vaccine or cure for AIDS? The resources already devoted to finding a vaccine or other biomedical “cure” for AIDS have dwarfed the resources that have gone toward understanding and promoting behavior change! And behavior change programs-when implemented properly-don’t necessarily require a lot of money. (How much does it cost for the politicians, entertainers, religious, and other cultural leaders of a society to speak openly about the implications of risky sexual behavior? Uganda achieved that, over 20 years ago, with pennies.) In any case, it’s quite possible to have a situation in which most attention is devoted to behavior change-just as most attention to lung cancer prevention centers on anti-smoking campaigns-but most money goes to other things, like antiretroviral medications. 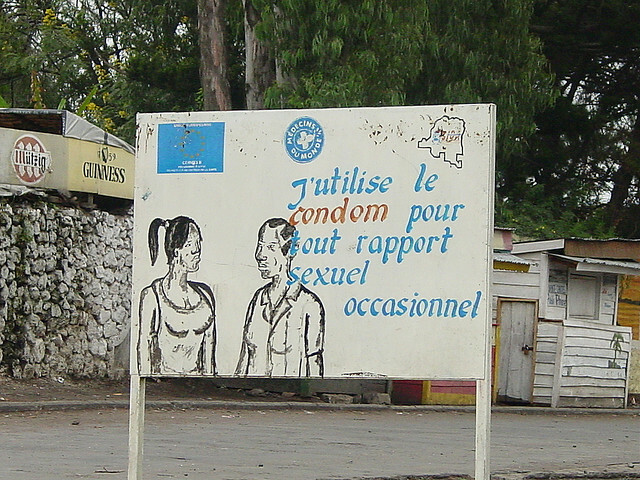 3) Campaigns focused on condom use have done little to affect the spread of HIV in Africa. Why do you expect other behavior-change efforts to be any different? Well, we have to look rigorously at the real-world record to see what’s worked and what hasn’t to date. While condom programs probably have had some positive impact in some places, what stands out in the epidemiological data is that, in almost every country in Africa where HIV has declined substantially (such as in Uganda, Kenya, Zimbabwe, Malawi, and Ethiopia), the main change has been a reduction in multiple partnerships. Of course we should continue to make condoms widely available! But we should also have strong campaigns to remind people of the danger of being in a sexual network. Even if you only have one partner, if that partner has other partners, then you are also at risk. 4) Your co-author, Craig Timberg, describes meeting a Botswanan woman with HIV who maintained multiple partners despite knowing the risks involved. So can we really expect awareness to change sexual behavior? The main issue isn’t really so much about individual awareness but society-wide norms. A broad shift in social norms is what occurred in places like Uganda, Kenya, and Zimbabwe. It hasn’t occurred nearly to the same degree in countries like Botswana. In both Uganda and Zimbabwe, for example, it used to be a sort of “badge of honor” for men to get an STD like gonorrhea. But, starting in the late 1980s in Uganda (during the pervasive “zero grazing” campaign there, which discouraged non-marital sexual encounters), and about 10 years later in Zimbabwe (around the time when the acclaimed singer Oliver Mtukudzi released an AIDS-related song called “What Shall We Do?”), this norm shifted, and it became a source of shame for a man to get an STD. 5) Since homegrown efforts like “zero grazing” and Mtukudzi’s song have brought about the best results, do Western organizations have any role in the fight against AIDS in Africa? Yes, absolutely. For instance, Western organizations can and should help pay for medical circumcision services so that those men who want to access them can do so. They should also help pay for the treatment programs that keep millions of Africans alive. But it’s also true that many outsiders have come in with well-meaning but ultimately futile ideas about how best to stop this epidemic. Even now, unfortunately, some foreign experts are doing just that, telling Africans that behavior change is an “unproven intervention” and that resources and attention should instead be focused on things like “antiretroviral treatment for prevention,” which is now the rage in the HIV expert community. Westerners should never be blocking the efforts of local organizations and influential persons to promote positive behavior change. Buy the book: Skylight, Powell’s, Amazon.